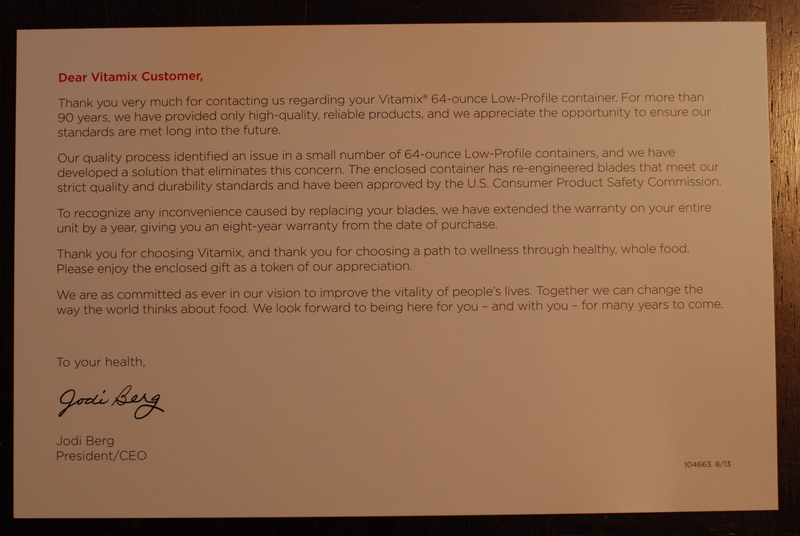 Wondering what comes with the new blender container from recall? Here’s your answer! 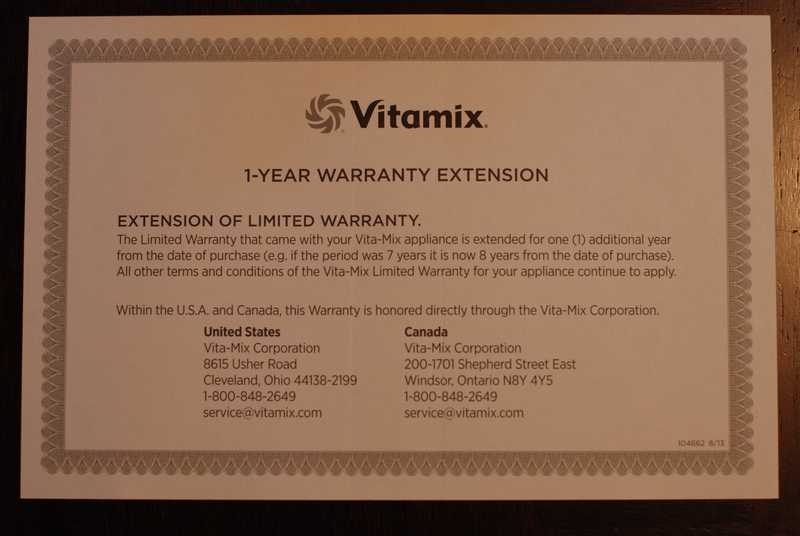 Anyone who was part of the container recall automatically has their warranty extended by one year when they exchange their blender container for a new one. 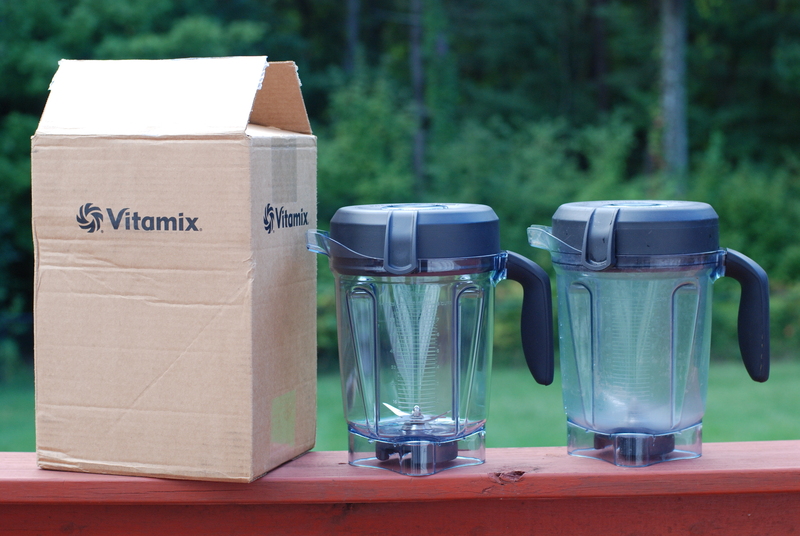 The free gift that Vitamix includes with the new blender container is a 101 Blender Drinks hard-copy book. 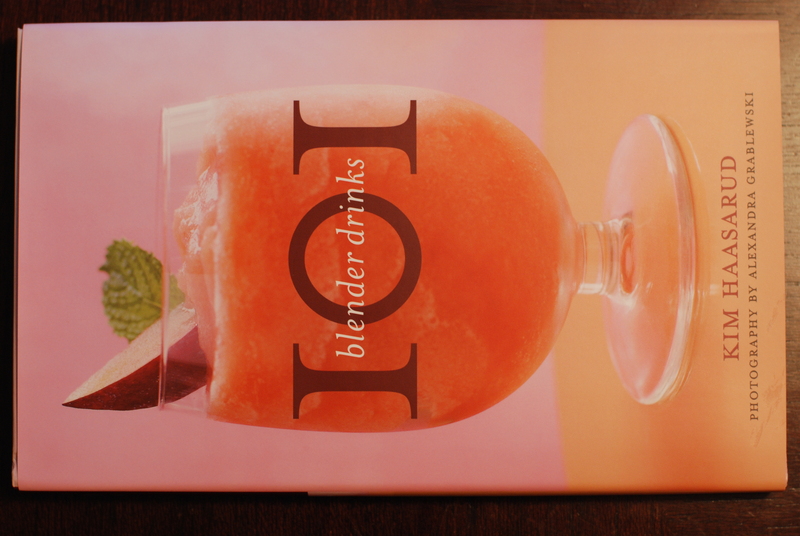 Here’s the back of the 101 Blender Drinks book, which has some very tasty looking photographs. The new blender container, next to the old one, which has seen it’s fair share of use. My wife and I couldn’t believe how different the new blender container looked. It’s the same exact container, but my current one is so worn that it looks like a different part! Very happy for the blender to be back in business. My wife blended up some tasty corn soup with it and I’ll start punishing the new container with frozen drinks and the like very soon.